This is the approach and entrance to the Sacred Heart church. 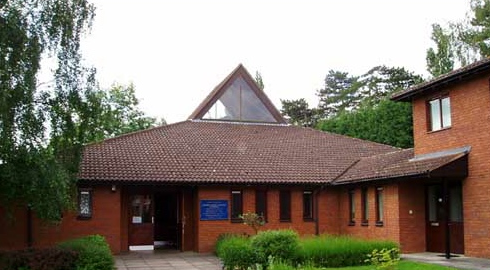 The church is situated in Pope Close which is a small cul-de-sac just off Vicarage Hill. The church has its own car park which is to the left of this picture. The church is equipped with a induction loop for the hearing impaired. A view of the altar showing the stained glass window depicting Our Lord, also shown on the right is the baptismal font. To the left of the altar is the tabernacle. 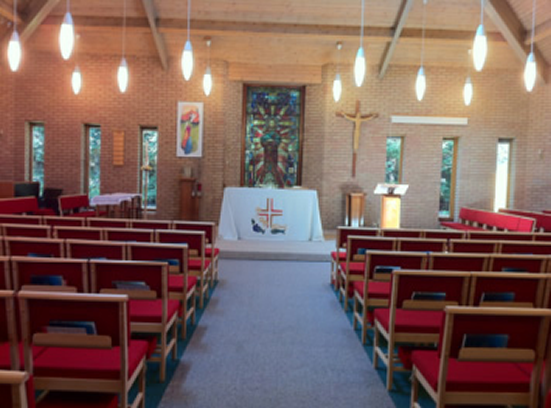 The church will comfortably seat 160 people and there is also room for wheelchair access. 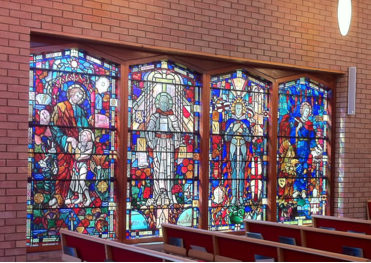 These Beautiful stained glass windows are dedicated to the memory of St Joseph, St Willibrord, St George and St John. This is the shrine dedicated to Our Lady the Virgin Mary, where the congregation pray and light candles for their own private intentions.